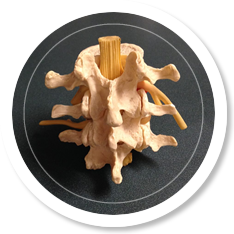 Acupuncture Lakeville Burnsville MN | Lubovich Chiropractic, P.A. Chronic pain not responding to western medical intervention. Conditions for which there is limited medical treatment available such as acute viral infections, metabolic disorders, chronic degenerative or autoimmune diseases. As an adjunct treatment for psychosomatic disorders like anxiety and depression or symptoms that are associated with or worsened by stress. Coping with side-effects of medications and improving vitality in long term illness. Facilitating wellness and preventing illness for people who are currently in good health. Acupuncture originated in China about 5,000 years ago, and is the oldest continuously practiced medical system in the world. Acupuncture is used by nearly one-third of the world as a primary health care system and by many more as an adjunctive therapy. The fundamental principles of acupuncture are to treat the person as an integrated whole in mind, body and spirit to remedy the root cause of disease, not just the symptoms. Acupuncture works by creating balance in the body, decreasing inflammation and inflammatory responses and alleviates pain. The human body ultimately seeks a state of homeostatsis or balance. When it is unable to achieve this, there is imbalance. Where there is imbalance, there is pain and disease. By accessing specific acupuncture points the practitioner is able to help the body restore balance, alleviate pain, and reduce inflammation. You may have heard the word Qi (pronounced “chee”) and never quite knew what it meant. Qi is the fundamental philosophy of ancient Chinese medicine. It is life giving energy that circulates throughout the body in meridians or channels giving you vitality and function. When qi is depleted or obstructed, symptoms of disease may begin to appear. If left untreated these symptoms may progress into a more serious illness of the physical body or mind. During your first visit a full health history will be taken. The purpose of a health history is to allow our acupuncturist, Jessa Wilson, to gather all the necessary information to assess the health of your qi. It also gives the practitioner an idea which acupuncture meridians are blocked or imbalanced. This is important to your overall health and a specific diagnosis. 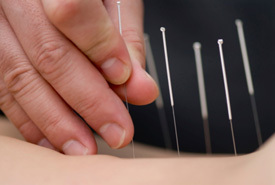 Once the practitioner has made a diagnosis sterile acupuncture needles are inserted to manipulate qi by unblocking or balancing meridians of energy. Keep in mind acupuncture was the primary medicine of China for thousands of years. Thousands of years of history show us that acupuncture can treat many more conditions than those listed above. In an official report, Acupuncture: Review and Analysis of Reports on Controlled Clinical Trials, the World Health Organization (WHO) has listed the symptoms, diseases and conditions that have been shown through controlled trials to be treated effectively by acupuncture. Contact us today for acupuncture in Lakeville!